I’ve been testing low-carb recipes lately. If you’re someone who wants to do a low-carb diet but really misses having something like bread with your meals, then these muffins are for you. What I love most about them is how many things you can do with them. I have them for breakfast at work, a snack on the go. They could also be a side, like a biscuit with your meat and veggies. 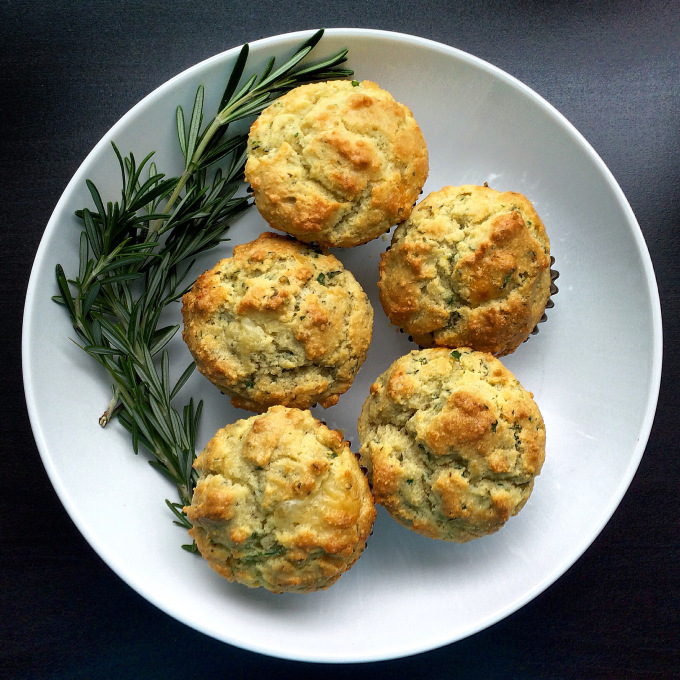 In a large bowl combine almond flour, salt, baking powder, garlic powder, herbs en provence, and cheese. In a smaller bowl melt the butter in the microwave, about 30 seconds. Add eggs and sour cream. Mix well. Add the wet ingredients to the dry, mix till combined. Add fresh herbs and lemon zest. Mix well. You can change up the cheese and add different herbs and spices to these. I will be featuring some of my favourites in the weeks to come.